Must Services in the IEP be Provided by a Special Ed Teacher? Can the school write in the IEP that the child will receive reading instruction/tutoring by a reading specialist who is not a special ed teacher? My 10 year old with Downs Syndrome has made no reading progress over the last 4-5 years. A reading specialist recommended a new reading program, the school agreed. To help her catch up, we also asked for additional intensive services by this reading specialist, who would know how to implement and monitor the new program. Must the school exclude a service from the IEP, if the child will be taught/tutored by a reading specialist who is not a special ed teacher? Is that true? No. This is not true. The IDEA and federal special ed regs do not require that the services listed in the IEP must be provided by a special ed teacher. Most children with disabilities receive much or all of their education in regular ed classes, and are taught by regular ed teachers. The IDEA requires that the child’s IEP team include at least one regular ed teacher because . . . If team proposes a service but resists writing it into the IEP, you might assume they don’t really plan to provide it. If the parent has to request mediation or a due process hearing because the promised service was not provided, the parent will not prevail because the IEP does not include it. Politely ask for a clarification and copy of the written policy (either federal, state, or local school district) that indicates a special ed teacher is required to provide services in the IEP. If you do not get a response, write a follow-up letter with a request for the policy. Please vote in the poll. 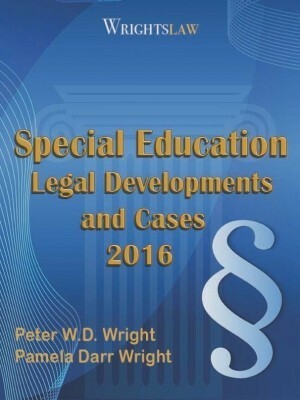 This entry was posted in FAQs, IDEA 2004, Reading, Special Education Regulations and tagged Accommodations, IEPs, Reading, Special Education Regulations, unique needs by Wrightslaw. Bookmark the permalink. I have an autistic 4 year old enrolled in a special ed classroom in public school. The special ed teacher is no longer in the classroom due to an injury. There has been a substitute teacher for the last two months- I haven’t received a completed IEP progress report card because neither the sub or the teacher assistant is qualified to add data to the report. There is a major shortage of special ed teachers in Early Childhood Education here. I am concerned about my child’s progress and the ability of the staff to meet his needs- my concerns deepened after a call from the assistant that my child had a temper tantrum. can push in services into a regular ed classroom with a special ed aide and oversight by RSP teacher, be counted in SPED minutes? I am just wondering. Can a Special Education teacher cancel their meetings of the students constantly throughout the school year? Ours does for several reasons… state testing, annual reviews, just because. Seems to me if the IEP calls for a certain amount of minutes weekly and you cancel classes, minutes are not being met. We in the regular educational positions have to teach our students everyday…from the first to the last. We never can just cancel classes. Just curious if anyone knew the answer or where I may look. That’s an obtuse view. We do not cancel classes just because we want to. These meetings are part of our job and a legal requirement. As it is, we rarely get a planning period, if we are told by admin to administer tests we can’t tell them no, if there is an emergency with one of our kids or even gen ed–we’re called. I absolutely agree. The Special Education teacher’s role is not only to co-teach. There are many other duties and responsibilities as part of that role as a legal requirement. 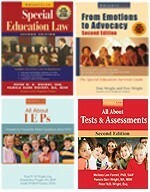 you are required by law to implement the goals of the iep, which includes the minutes for service. if you are not ‘picking up your students,’ or ‘showing up in inclusive classrooms’ for the allotted time, you ARE out of compliance. a parent has every legal right to pursue due process in that case. she didn’t present an obtuse view, but you presented an answer that dismisses the reason why you are employed as a special educator. your admins. like many, especially in charter schools, are abusing your responsibilities at the expense of the child. and you ‘buy in’ to the abuse when you dismiss legitimate complaints from regular education teachers. moreover, the parent has every legal right to pursue due process if his/her child’s IEP isn’t being implemented properly. Just because the teacher is not picking up students from that particular class does not mean they are not meeting their services. I would ask the teacher if everything is okay, and if, as a team, they need to make changes to when services are being implemented. However if you teach sped students, as a gen ed you do have the role to continue to accommodate, that should not be only your sped teacher. Im not sure where you got “charter school” from, maybe I missed something, but I wonder if you truly know how the charter system, or a SPED teacher’s duties work. We also have to sub for absent teachers in addition to proctoring state tests, attending IEP/ETR meeting and meeting with students on our caseload whom we do not see throughout the day, so we meet with them during our planning periods to administer SDI minutes. We take our IEPs and progress reports home every weekend to work on them. If a student is absent, we are subbing, proctoring or are in a meeting, we are required to make up the minutes, which means pulling during our planning periods since we’re scheduled in classes 6 out of 7 periods per day. Those SDI minutes should be met according to the way the IEP is written. I’m an SLP. Most of my IEPs are written in terms of minutes per year (not per week). My IEPs also state that service may be interrupted for State testing, field trips, assemblies etc. I make sure that I meet my required yearly minutes and usually exceed the required amount of time. Your students are very lucky then. I teacher a self contained class. The IEP’s all say 60 minutes of either speech and language. The SLP comes in 4 days per week, 30 minutes a day, and treats the kids for like 5 minutes chunks, if that. They are NOT getting the minutes mentioned on their IEP’s. If she can’t do it then she needs to ask for help, or fix the IEP’s to say “up to 60 minutes.” I’m tired of my kids getting screwed, and implementing a plan that is out of compliance. I am a regular ed teacher at a public school. This year we had a student who was mainstreamed to my Science/Social Studies class. He didn’t last long, though. He had many absences, until finally in January it was decide that he would remain in the SPED room for all instruction. The SPED teacher wanted me to provide weekly lesson plans for the student. The SPED department did not hold a meeting for a change of placement on his IEP. I mentioned this to principal and was told he would check into it. Then, in February we had his annual IEP, which at this meeting it was decided to put him back in my class. His attendance continued to be an issue. Today I was told he is going back to SPED. I am to be responsible for his course work and grading all work. Is this legal? Boy does this sound like exactly what I’ve been going through. Inexperienced resource teachers, resource not actually happenimg, an ex situation too with split custody. I feel for you and your son. I’m still dealing with the nightmare. Hang in there. Can teachers be directed to give Special Needs students what they give the Regular Ed students and not provide accommodations or modifications per the IEP until after they have been evaluated. Can a teaching assistant meet minutes when he/she pushes into a general education classroom? Can you tell me where I can find the IDEA and Federal Special Ed Regulations that confirm this? I am not understanding what the legal regulation says and can not find any help on the IDEA website. I´m a special education teacher. In the programs and services section of the IEP I would not add reading specialist or add goals specifically for the reading specialist. 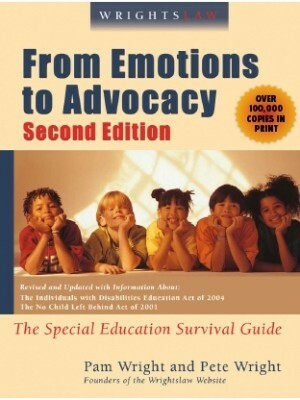 I would add the reading specialist time into the supplementary supports section of the IEP. It certainly can be written in though……. Would you mind expounding on why supplementary supports section rather than programs and services section? 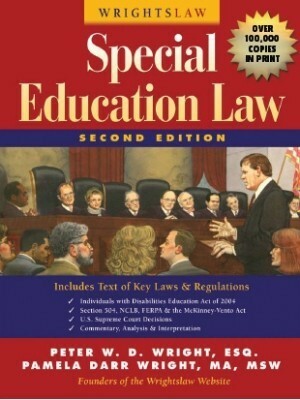 If a special education teacher does not know the curriculum than they should not be teaching. I am a teacher and have a student whom is thought to be in need of special education services. 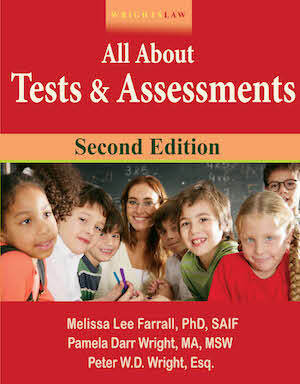 The district does not have a psychologist who speaks the child’s native language and therefore the only types of assessments being used are behavioral scales. Is the district held accountable for finding someone who speaks the child’s native language to assess cognitive and achievement abilities and to determine if their is a discrepancy warranting a learning disabilities. The language is Turkish. 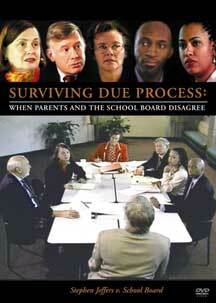 If the district is not responsible can the parent request that the district pay for an outside evaluations? Any insight would be greatly appreciated. After one year of a failed IEP,getting an official diagnosis and becoming trained in Dyslexia. I currently enrolled my Dyslexic 9 year old in the school districts home school program. We recently had an IEP meeting in which I thought were going to adjust the IEP to the homeschool setting, however it was overruled by the IEP team and the other parent that she be back in public school. Is it true that only one parent has to decide? Is it true that the IEP has to follow the student every where she goes? Any help would be appreciated in answering these questions. As a regular education teacher, I certainly do not feel it is a burden to have an IEP student in my class. However, there are many things written in an IEP and intervention specialist are not providing these services. I have now worked with two in the past seven years and I have to almost beg them to work with the IEP students while I work with the other kids. This is especially needed when our class sizes are up to thirty kids. To parents, definitely advocate for your child. Ask the intervention specialist what they are particularly doing to meet the IEP needs. Often times they show up with data that appears to show growth. These are tests that have the same format and the same type of questions. It is very easy to show growth. Ask specifically how many times they are working with your child in the inclusion class. My question is similar but opposite, can IEP goals be implemented by general Ed teachers? Follow-up for figuring out of the person is qualified: don’t just ask for the degrees and certifications. Ask what program is being used, and what kind of training does the person have in that program? Also, helpful to find out: what kind of experience does the person have and who is supervising them if they are not a special education teacher? How are results being assessed? Who will figure out if the program is effective? How will this be reported to you? I think the key is figuring out two things: 1) is the aid trained and qualified to do what they are being tasked to do, and 2) are you seeing any measurable results? In our experience, we had a situation in which the answers were 1) No, and 2) No. You need to go find out the answers to these questions. I am experiencing a “who is responsible for what” situation with my 15 year old with NLD and dyslexia. He is included for everything but math. He has special SDI regarding homework, study guides, testing accomodations, etc. These accomodations are not all being met because according to the LS teacher, my son needs to ask for them. They want him to advocate for himself. While I agree that self-advocacy is important, it seems wrong to expect the student to implement his own IEP. And when he does ask classroom teachers for accomodations, they don’t seem to understand. He has asked for word banks and concrete examples, he’s been told, the answers are in the book and be creative. How do I tactfully handle getting classroom teachers to actually modify and accomodate according to the SDI? After searching far and wide, we finally found a placement to accommodate her VERY complex needs and profile. They are fully accredited, however they are not special ed certified. While I agree that in many cases it is advantageous to have special ed certified teachers, it’s not always possible in residential settings. So in our case, would this issue be in our favor? It should also be mentioned that literacy, reading and writing, is within the scope of practice of ALL speech-language pathologists. Often, speech-language pathologists are excluded from providing supports in this area because those administering IEPs are unaware and uninformed. @Beth- If the teacher/tutor isn’t proficient in his primary mode of communication, then how is he to benefit from the instruction?!?! He is entitled to someone that can communicate with him in his PMC, or at the least- they need to be providing a certified interpreter. Don’t let them get away with that at your son’s expense. Someone who took 3 ASL courses is not proficient enough to provide clear communication and language. I have learned that you have to look at the data to see if your child’s making progress. Data includes my child p’s commets which re important in those middle school years. Listen to then as some classes re more productive than others. If the school district does not fully have he staffing (and many do not)–you may have ti collaborate and focus on your child’s progress. As your child gets older, this is important as teacher become more overwhelmed. My chid is succeeding because I pushed for some things versus others. I do get tired but I am my child’s advocate. Every year, it is work but well worth it. The issue, for me, is not blame but collaboration. Each chid is unique and I focus on that. Melissa – My son was on an OHI IEP for his ADHD & the school did write an IEP for him that included goals that pertained to his ADHD.The goals included behavioral goals, education goals, accommodations & modifications. We did have some difficulty getting the school to add educational goals at first. They stated that an OHI IEP is for modifications/accommodations only. We contacted the State of Ohio Department of Education Special Education Department. They told us the team can put any goals that are necessary, education goals and other goals. Whatever meets the child’s needs. I don’t understand why your school system is not writing an IEP . It is my understanding that they must do so. Perhaps a call to your state will help clarify. He is in the regular education classroom receiving accommodation/modifications. He also has a reading specialist/interventionist. This reading specialist/interventionist is pulling him out of his regular education classroom for 60 minutes 5 days a week. Shouldn’t he have an IEP with the special education teacher as a consult to the regular ed teacher and reading interventionist? Let us not discount the aids. Both sides made a good point. There is the law and the reality..for me as a parent I went the middle ground and my dyslexic child is making remarkable progress. Well trained parafrofessionals can do a lot under the supervision of a teacher. 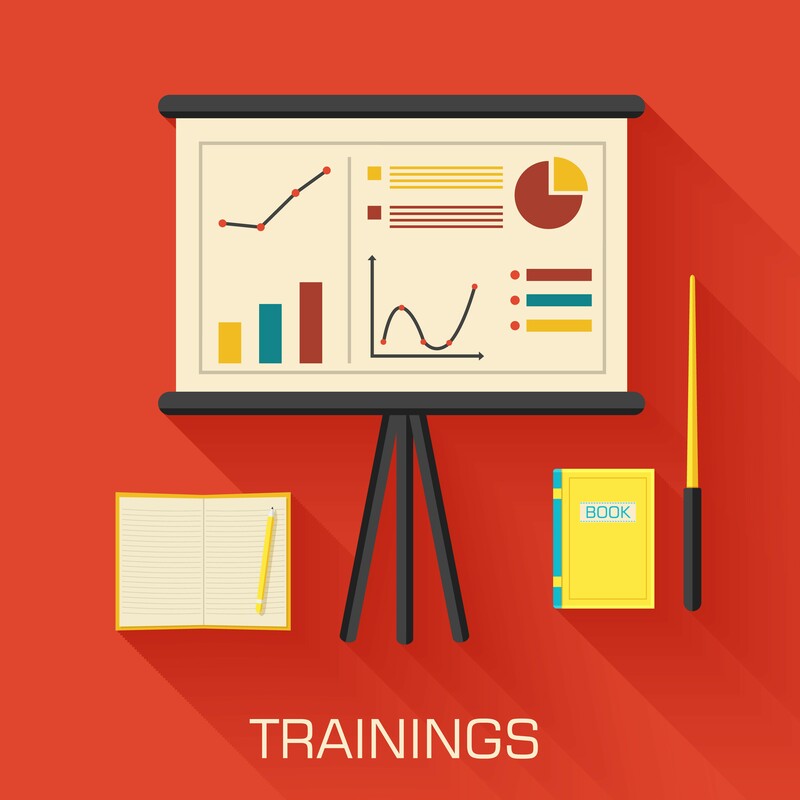 Paraprofessions with training can implement programs with fidelity and track data. The middle ground is important and will insure success as opposed to a frustrated teacher who truly cannot meet the needs of all students. Look at the and work with the staff. Your child will benefit more by your collaborative efforts and by any adverserial approach. I know it seems counter-intuative to have your child pulled out by “just an aid” and not a specialist. Ask yourself if your child is doing better tho. I felt that way when my dyslexic kiddo started into a similar “reading intensives” program. HOWEVER, in my kiddos case he was being helped by an aid who had her own dyslexic kiddo who was currently in his last year at college. She had completed several orton gillingham based reading instruction courses in order to help her own kiddo and was actually MORE qualified to help my kiddo than the special ed teacher, even tho she did not have a teaching degree. A special Ed teacher has to learn a little bit about a lot of things, including basic curriculum stuff. This wonderful lady probably would not have been able to teach math but she helped my guy more than any one else. What about a class in a school district that provides the majority of its academic instruction (special education) via instructional assistants (who are not licensed special ed. instructors). My son’s previous class had everyone of its children with autism diagnosis instructed by an instructional assistant. All of the kids in the class are steered toward a functional curriculum regardless of ability. My child has the same issue. 11 years old. Sixth grade can’t read. What happend to the NO CHILD LEFT BEHIND ACT? My child is now in college. When he was 11, he had a low reading level. 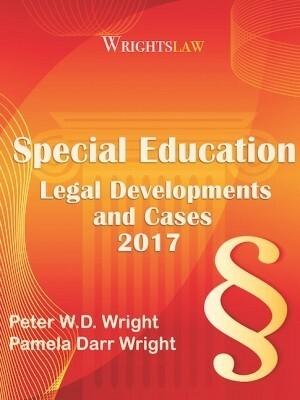 I researched Wrightslaw, became an advocate and my child was diagnosed with dyslexia through an outside expert and paid by the school-was in special ed since early years. If you WAIT for the school, your child will fall behind more. Learn about assistive technology, your child’s goals and dreams and provide motivators to reach those goals by using AT, specialized reading programs and school resources. Know your rights but there are programs you can do at home if your district is failing. 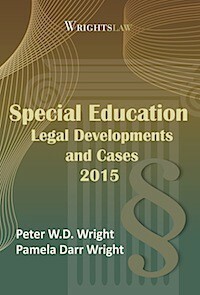 Call your State Special Education office and seek guidance. I did not wait for a failing school district to fully educate my child. We also supplemented at home and also involved extracurriculars. There is also hope. Special educators are always in workshops learning how to handle situations with special education. Why would someone want to put all the responsibility in the hands of the regular teacher. Let’s look clearly at the picture. If you’re a vegetarian are you forced to eat meat. Special educators are well trained, furthermore, they received extra stipend to take care of the students needs; why not just leave it alone. i work with special education children and sometimes I think I am forced to forced them to work. I understand needing to re-direct comments back to the original questions.. However – I think it is important to acknowledge people’s frustrations and feelings. I agree that parents expect and demand WAY too much from the public school system. They are lucky to be getting a FREE education for their children and just expect more and more. The burden should not rest soley with the schools. We, the teachers, did not give birth to these children. We are simply trying to do our jobs to the best of our ability with the limited resources we have and for meager pay!!!! I have survived this profession for 25 years but completely understand those who give up much sooner. This politically incorrect comment comes from my perspective as both a special ed teacher and mother of a gifted student. Those are the ones being sorely neglected!! I have found many more parents forcing themselves to take sides than teachers. Many parents I have observed base generalizations of ALL teachers from the worse teachers they have experienced. All school districts are strapped for funds/personnel/etc. Blaming the teachers or even the school district for this problem is like blaming a mechanic who hasn’t fixed your car for it breaking. If you psychologically need someone to blame, then blame the way schools are funded or the politicians who decide to require miracles and fund it with pennies. Blame-hungry parents are the reason I quit teaching Special Education. 24/7/365 advocacy/teaching/IEP meetings/informal, unpaid overtime/etc. made the decision for me. The passion for helping those students who desperately needed it drowned under power-hungry parents who couldn’t control anything else. Sue here – I’m moderating today. I’ve been reading the comments on this post, so I’ll reply with what Pete and Pam always say. Wrightslaw is a no blame zone. Parent and teacher blaming are distractions. Blaming others doesn’t solve our problems. It’s easy to blame others. It’s not easy to devise solutions to problems that have many causes. That’s why we encourage you to learn about these issues. That’s why we teach you about the laws that are intended to ensure that our children receive the education they need. Wrightslaw is about helping others create solutions to problems. 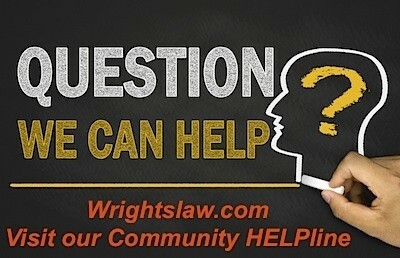 The Wrightslaw community is filled with individuals who are able to offer positive constructive suggestions. (2) Sharon asked for suggestions. Beth and Marilyn asked for help. Anyone have constructive answers to these questions? Christina – Cookies have never helped me either. I agree. The more educated you are about your child’s rights the better. The sad truth is that the school never offers anything unless a parent asks. As far as the “gangup mentality” it helps to bring in your own professionals when needed even if it costs money. I have found that if I bring in a speed pathologist or psychologist or reading specialist from the outside the school really listens. I can just sit back and let them speak their language to one another. This has proven to be the best way to get what our child needs and it is more people on your side. (Too bad we have to feel like we are on “sides” instead of collaborating.). I have found that a squeeky wheel does get greased. But it can work both ways. Some years we have great teachers and some years are wasted with monkeys as teachers. You are all your child has. You have to stand up and speak for them even if you look like a crazy person doing it. I have found the more educated you sound the more they will listen and try to help your child. So make sure you throw in some American with LD act, section 504 of what evers in there and they sit straight up in their sets and starting writing what you want for your child in school. Just make sure you are prepared when you go in the meetings. B/c four or six teachers tend to gang up on one or two parents really quick and you walk out feeling beat up and your child has no chance of a good education. Cookies have never helped me. With work at your own pace workbooks, the teacher can go to a meeting or go to the office or something else once in a while and have two or three aides who are trained in the room helping a student with math or reading. The teacher is there most of the time. I have seen this work well. What if there is isn’t a special ed teacher? Like if the school didn’t replace the special ed teacher when she moved to another job? And there are just aides in the room with the early childhood special ed teacher overseeing both classes(Dev and EC)? Can anyone clarify what certifications teachers are required to possess when they are providing services in home-based instruction in OH? Are they required to be certified teachers only, or must they also be Intervention Specialists when teaching children with moderate to severe disabilities that include but are not limited to profound deafness and vision issues? My child has been placed on home instruction due to medical leave that stems from undue stress and anxiety and harm from the physical school environment. I have asked that they provide someone certified in ASL to provide services. They will not provide an Educational Interpreter. The person currently coming to my home is a certified teacher. This person is certified to teach handicapped and deaf handicapped. What does this mean? This person has completed 3 ASL courses. HELP! I firmly believe that all ‘specialist’ teachers within the education system must be required – at minimum- to complete an introductory course in special education. In addition, I firmly believe all ‘specialist’ teachers should be motivated to take a course in ‘coaching/motivation’. !. The majority of students requiring ‘specialized’ instruction will come from the population of students falling behind or in ‘special education’. 2. These students come with a broach range of challenges – physical, behavioral and/or learning challenges. 3. Students being taught by a specialist are struggling. Students. They first must be motivated to apply themselves at activities that are going to be difficult and cause frustration, even the very real sense of failure. This is very interesting because it is not what happens in NYC. If any academic goals are written into the IEP they MUST be provided by a special education teacher, because if it is on the IEP then it is considered special education. Many children in NYC who go to private schools and receive a type of voucher for their academic services, cannot find special education teachers with the correct license in order to provide those mandated services. Any suggestions? 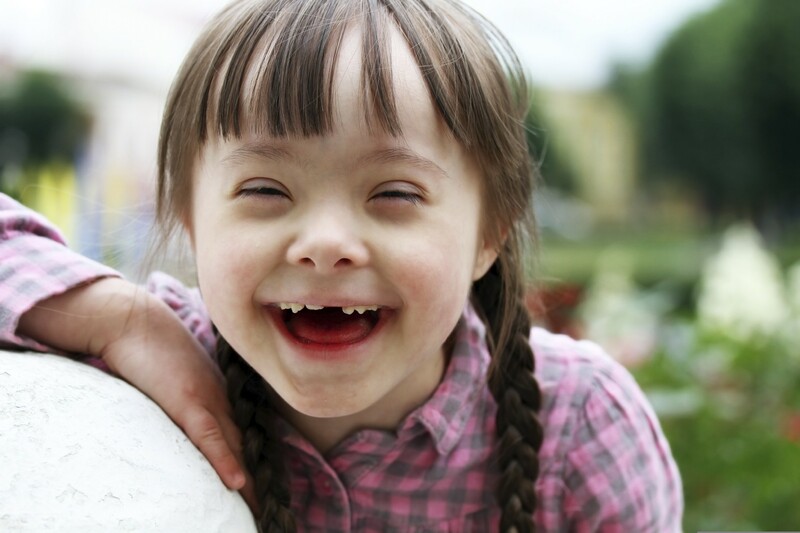 Special Education is not a place or a pre-packaged program. An IEP is an INDIVIDUALIZED Education Plan that can offer a wide variety of approaches to address the child’s INDIVIDUAL needs. Once an area of weakness has been identified, the IEP must have measurable goals with reasonable deadlines. If there are no goals or deadlines documented, you can expect there to be no progress. 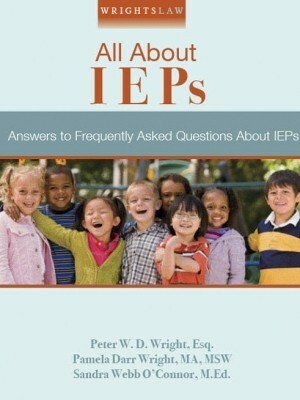 The objective becomes simply being on an IEP. When you have measurable goals, it places the responsibility on the school staff to locate a person who can deliver these results. If you hired a contractor to build a sidewalk in front of your house, you would never sign an agreement that he is to simply place concrete on the property. You would likely offer some sort of drawing and dimensions that map out what the end product is to look like.